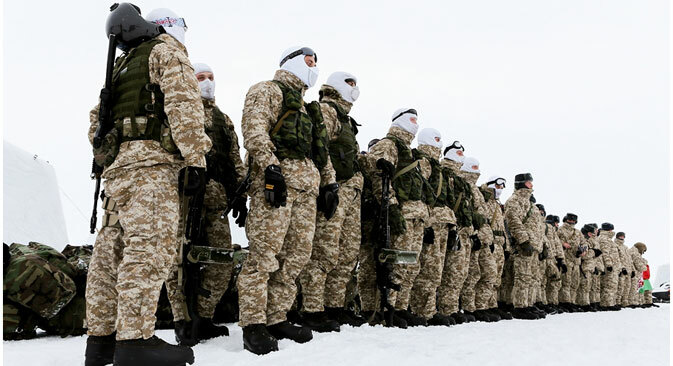 Press Digest: Should Russia prepare to combat terrorism in Arctic? RBTH presents a selection of views from leading Russian media on international events, featuring reports on proposed counterterrorism initiatives in the Arctic and the effect of Russia’s Western food embargo on the country’s market, as well as expert analysis on whether the boost in Chinese oil imports will affect world prices. Head of Russia’s National Anti-Terror Committee Alexander Bortnikov has suggested the country should concentrate on countering potential terrorist threats in the Arctic, reports the centrist daily Nezavisimaya Gazeta. According to the newspaper, Bortnikov said the growing economy of the region was sure to attract attention from terrorist groups, adding that the Arctic, with its considerable strategic, economic and defense potential, has become a focal point of interest for world nations. Given the increasing military presence of those nations in the region and the intensifying competition for the right to exploit its natural resources, “protecting Russia’s interests there becomes a strategic priority of national policy,” said Bortnikov. “The Arctic is indeed a rather disputed area, we are talking about a struggle for influence here. We have got a lot of competitors out there: Canada, Norway, the United States, Denmark – countries that either initiated the sanctions against Russia or joined them,” says Alexei Makarkin, first vice president of the Center for Political Technologies think tank in Moscow. Nevertheless, the terrorist threat still should not be underestimated, he added. “In theory, terrorists can emerge anywhere – not just in the Arab world,” he told Nezavisimaya Gazeta. Experts at the Analytical Center for the Government of the Russian Federation have acknowledged that Moscow’s year-old embargo on Western foodstuffs “is affecting competition heavily,” reports business daily Vedomosti. Russian food producers now face limited competition from the West, which is causing the price of food to rise and its quality to fall, says the newspaper. The experts also warn that unless the government manages to stimulate competition within Russia, both of these trends will only get worse in the long term. Yelena Parshina, advisor at the competition policy department of the Analytical Center, said in an interview with Vedomosti that competition in Russia is currently restrained by the mechanisms providing access to resources and markets (various quotas, permits, etc.) as well as varying criteria for providing state support and limiting access to the Russian market for alternative foreign suppliers. As for the quality of Russian foodstuffs, it is mostly influenced not by the absence of foreign competition, but rather by a fall in producers’ purchasing power, Anna Mironichenko, head of the agricultural complex control department of Russia’s Federal Antimonopoly service, revealed to Vedomosti. “For instance, the producers of sausage (…), seeking to reduce costs and maintain their position on the market, are forced to reduce the quality by changing the recipes and buying cheaper raw materials,” she said. China’s crude oil imports increased by 29 percent in July (compared to the same period last year), hitting a record high. News website Gazeta.ru has compiled the opinions of several Russian experts on the subject. Several months ago, oil market experts pointed out China’s imports had considerable influence on global oil prices, noting how the increase of demand in the country was keeping prices from falling. Nevertheless, as of now, this impact has virtually been reduced to zero, Gazeta.ru reports. Vitaly Kryukov, CEO of the Small Letters analytics company, suggests in an interview with the newspaper that China is unlikely to stabilize oil prices by building up its reserves. “Global market oversupply is still there, with 1.5 million barrels of crude produced daily, and global production is as high as before. Thus, the Chinese factor won’t be able to reverse the current trend,” said Kryukov. According to the expert, the strengthening of the U.S. dollar (which usually causes oil prices to fall) and market expectations concerning the lifting of Western sanctions against Iran play a much bigger part in oil market dynamics.